The Angel Inn at Hetton near Skipton in the Yorkshire Dales is only a couple of miles from home and therefore does tend to get overlooked when “going out”. As we had not been for a while, thought we should try the revised and updated Brasserie menu. The new menu has added a few new dishes whilst retaining a few old Angel favourites such as money bags, blackpudding and the provençale fish soup. Also a very good range of vegetarian dishes if that takes your fancy! The Food… no starter’s today straight into main courses! (we were running a bit late and opening hours had just reverted to Winter!) Our choices included, Seared veal calves liver with sherried lentils, spinach, citrus sauce, fondant potatoes, Goosnargh Chicken Breast with canellini beans, tomato and olive sauce, rocket leaves, Pork & Prune Casserole with , Roasted root vegetables with creamed spinach, fondant new potatoes, red wine reduction and Plaice in a cream sauce. The Plaice & Calves Liver were voted best and the Pork & Prune got a thumbs down, weird combination and way too salty. Btw we mentioned this and a complimentary dessert appeared. The Beer… Timothy Taylor’s Landlord of course, sweet & creamy… Also the usual great selection of wines to choose by the glass or bottle. Also all the wines are now available from the Wine Cave across the road. 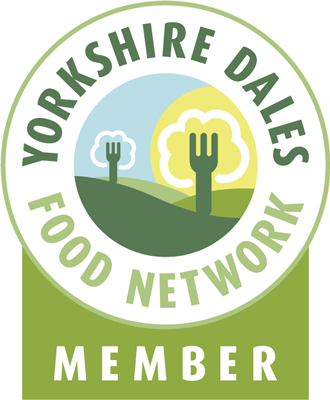 This entry was posted in Eating, Food, Yorkshire Dales Food and tagged Angel, blackpudding, breast, casserole, cave, chicken, dales, goosnargh, hetton, inn, liver, moneybags, plaice, pork, prune, taylor's, timothy, veal, wine, Yorkshire. Bookmark the permalink. The Angel is more of a restaurant than a pub, but what a restaurant! Not the cheapest, or the biggest portions, but one of the best. yep, a great place – but special, nonetheless. And yeah, it’s no pub – this is a restaurant, through and through.